It happens — you lose your job, get sick or you experience some other financial setback and begin to fall behind on your bills. One of those monthly accounts may be your car payment, what provides transportation to help you find a job, take the children to school, and to simply live your life. For most Americans, life without a car is not merely an inconvenience, but a hardship. If you fall behind on your car payments, you should know that your creditor may repossess your vehicle. 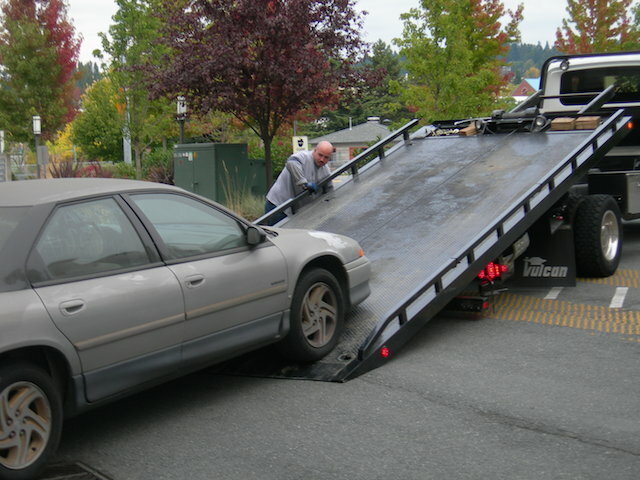 Here’s what you need to know about car repossession and how to avoid it. If you take out a loan to purchase a used or new car, the bank, credit union or other financial enterprise has what is known as a “lien” on your car. A lien means the creditor holds title to your car until you pay off the loan. It also means that if you fall behind on your payments, the creditor has the right to repossess your vehicle and sell it in a bid to recoup its loan losses. Individual state laws determine how repossessions are handled — you may have the right to regain possession after the fact — typically that involves catching up on late payments and paying related fees, including court costs. If your car is already repossessed it will cost you much more to get it back than by simply keeping up with your payments. Fall behind on car payments and you may feel like hiding under a rock. However, withdrawing from a painful situation will only make matters worse. Indeed, your car loan creditor may interpret your actions as avoidance — in doing so you risk losing your car to repossession. The moment you fall behind on your car payment — or any payment for that matter — you should get in touch with your creditor advises Jay F. McKirahan, an automotive and consumer attorney with Mac Murray, Petersen & Shuster LLP in Ohio. Indeed, you may have more options available than you thought possible explains Netiva Heard, a Certified Credit Counselor, Personal Finance Coach, and owner of MNH Credit Solutions in Illinois. Said Heard, “See if you are eligible for any hardship programs that will allow you to place some or all of your past due payments to the end of the loan, make partial payments, interest only payments, or possibly refinance out of that loan and into another with more favorable terms, if you bring a qualified co-signer to the table.” Like McKirahhan, Heard emphasized lenders want your money, not the car and will work with you especially early on. As long as the car is with you, avoiding repossession is possible. Again, your state determines when a loan default takes place — it may be as little as one day after your payment is due or up to 30 days later. Typically, you’ll receive a notice in writing from your creditor once the loan is in default. That notice may include instructions from the creditor on how to reinstate your loan. Read both the default letter and your loan agreement carefully to understand your rights. One of the easiest ways to hold off car repossession is to make up your late payments. Here, you need to make payments and make whatever late fees and charges are assessed. If your financial situation is particularly dire and you foresee no possible way to procure the required funds to forestall car repossession, you may find relief by selling the car. Here, you should notify the creditor of your intent to sell with the understanding that the buyer must have cash on hand or the financing arranged to purchase your vehicle. You may have a brief window to exercise this option before the creditor initiates repossession. Still another option is to surrender the vehicle to your creditor. Technically, you’ll avoid the embarrassment and the costs associated with car repossession, but you may still be liable for the loan deficiency — the amount of money owed on the loan that goes beyond the value of the car. Know that your credit will still suffer, but it may not reflect so poorly on you as would an outright car repossession. There are a few other options to help you avoid or at least delay car repossession. First, if your finances are in terrible shape and personal bankruptcy is the only way out, then filing for bankruptcy will delay repossessions, at least temporarily. In the interim, you may find a way to catch up on payments and avoid further action. Second, if your credit is in decent shape, refinancing the car loan is an option. This choice is only worthwhile if the interest rate is lower than your current loan and your monthly payment amount drops. Finally, if your creditor violates your rights under your state’s consumer laws or breaches the contract, you may have recourse. Even if your car is eventually repossessed, the creditor and its repossessor (repo man) must always follow the law. If you suspect otherwise, seek legal counsel. My sister just got really far behind on the payments for her Accord. She got her hours cut at work, then she was the only person who could take our mom in, and she also had to get snow tires, and buy her daughter a convertible car seat after she outgrew the infant car seat. So many things piled up at the same time. Her loan officer wasn’t very forgiving about the late payments, but she got set up on a payment plan, and I helped her get all caught up. We narrowly avoided repossession by about 12 hours. That’s was a close call, Jenn! I’m glad you helped her out — yes, bankers aren’t always very patient or understanding. Many simply push through the repo, even when other options are offered.